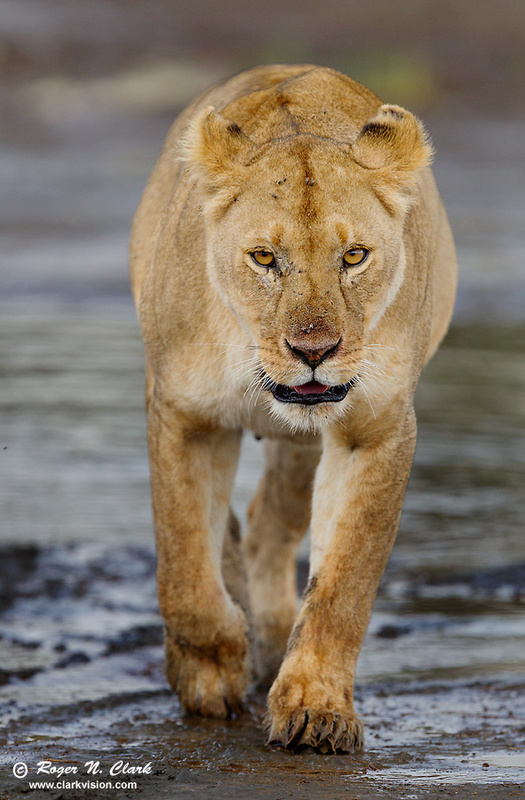 A female lion approaches. Ngorongoro Conservation area, Tanzania, Africa. This lion is a member of the Marsh pride. I have photographed this pride for 6 years. The lion is about 3 years old. Technical. Canon 1D Mark IV 16-megapixel digital camera, Canon 300 mm f/2.8 lens with 1.4x TC: 420 mm at f/4, ISO 800, 1/800 second exposure. Manual exposure. Full image, no crop.